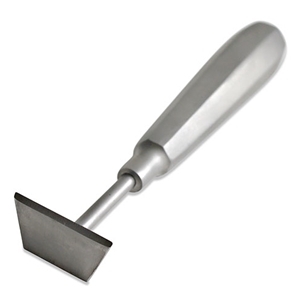 This small Encaustic Scraper is one of 4 in our series of straight-edge stainless steel scrapers. Ideal for gently scraping layers of encaustic paint as you work to achieve a smooth, glass-like surface. Solid welded handle. Approximate length is 6 1/4" and approximate width of cutting edge is 1 1/4".